The candidate will be responsible for the flawless execution of the project. The Program Manager will manage day to day activities, provide project guidance, support, monitor the project progress and ensure the completion of the milestones as per the defined time lines. The Program Manager will also be responsible for regular communication with the client as well as identifying key issues, gaps and creating corresponding action plans and corrective measures. Onboarding of the new Call Center agents and Care Coaches, ensure the receipt of initial Project specific training and every 6 months refresher training. Plans, controls and monitors development work while motivating a team. Daily/weekly sporadic checks of the planned activities versus completed to identify gaps. Ensure the availability of the completed signed & dated Informed Consent forms. Ensure the completion of tracking tools on the same day of completing activities. Highlight any gaps with the care coach & understanding root cause, corrective & preventive action plan should be created in case of repeated issues (CAPA creation will be based on the severity & frequency of identified issues)Performing accompanied visits with Care Coaches to ensure completion and patient’s satisfaction. Attending calls with Care Coaches as an observer. For assigned task, formulates a proposed approach, plan and schedule and estimates time to meet business objectives. Direct Ad-hoc calls with the patients to ensure overall patient satisfaction and identify any gaps with the Care Coach. Ensure project specific files are maintained throughout the project life cycle, quarterly checks of files completion and updates. Ensure regular tracking of project’s Pass-through expenses. Identifies emerging issues/risks and their implications and propose solutions. Manages staff involved in call center, care coaches and field executives. Reports on progress towards business objectives and discuss future directions. Assesses project risks and specifies contingencies. 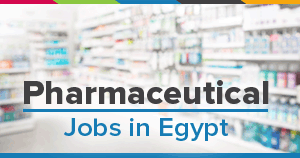 Experience in the pharmaceutical market access industry. Strong understanding of patient support programs in the life science industry. Demonstrates competent project management skills with proven time management and personal organizational skills. Good team-based interpersonal skills but also an ability to work independently. Energetic, dynamic and self-driven individual with excellent communication, presentation and interpersonal skills, communicating well with patients, HCPs. Strong academic track record including minimum of a bachelor’s degree in life sciences or equivalent (physician or pharmacist). Master’s degree is valued but is not essential. Willing to travel inside Egypt. Good managerial, leadership and communication skills.